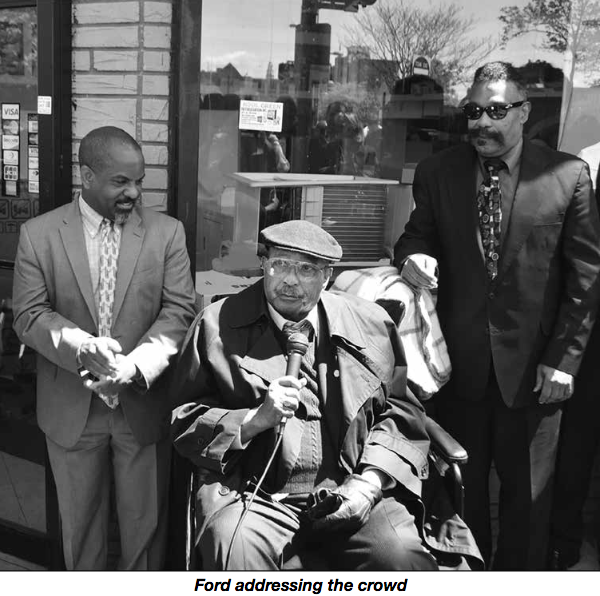 Mount Vernon recently lost a giant of a man in David A Ford, Sr. - a man who left Manhattan for Mount Vernon over 53 years ago and became an iconic figure along the way. When Ford first moved to Mount Vernon it was a Republican bastion, but not for long. He quickly became a Mount Vernon Democratic Party leader. Under his leadership, Democrats took over Mount Vernon City Hall, which was once dominated by Republicans. Ford was highly respected by all, since he was a man of principles, values and unmatched integrity. Ford ran the Water Department for many years and ran it like a drill instructor. Everything was always in order and complaints were rare. Ford was active in all aspects of community life in Mount Vernon all of his adult life. There are few aspects of life in Mount Vernon that he did not touch and make better. While his life was community involvement, his passion was politics. From 1969 to 1996, he was Chairman of the Mount Vernon Democratic City Committee. He was also Chairman of the Black Democrats of Westchester County and a member of the Council of Black Elected Democrats of New York State. Furthermore, he also served as New York State Committeeperson for the 84th Assembly District. The Democratic Party blossomed under his leadership and eventually became the dominant party in Mount Vernon. In addition, he served as President of the Lions Club of Mount Vernon and President of the Mount Vernon YMCA. He was a Life Member of the 369th Veterans' Association, and a Life Member of the Mount Vernon NAACP. He was also a longtime Chairman of the Board of Mount Vernon Neighborhood Health Center and a member of the National Association of Health Care Providers. It is very important to note that Ford was a veteran of WWII. He married the former Eula (Daisy) Gadson, who passed in 2012, and he was the proud father of six children (David Jr., James, Renee, Garey, Michael, and Karen). He also had five grandchildren, Rachel, Shaarod, Nardara, Jerel and David Christopher and three great grandchildren, Amira, Sydney and Camden. 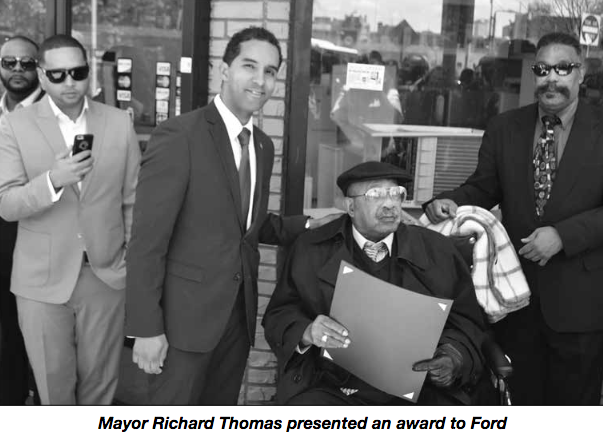 Last year, Ford was honored by the City of Mount Vernon when of a portion of Park Avenue was renamed for him. 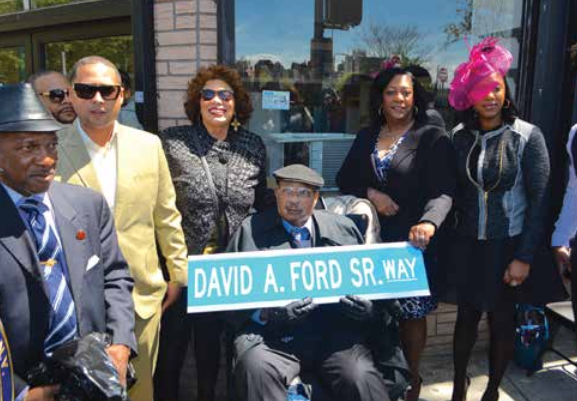 A section of road between Elm and East Prospect is now known as David A. Ford Sr. Way.